I was going to put the diapers away… – 365, 235, originally uploaded by Fluttering By. 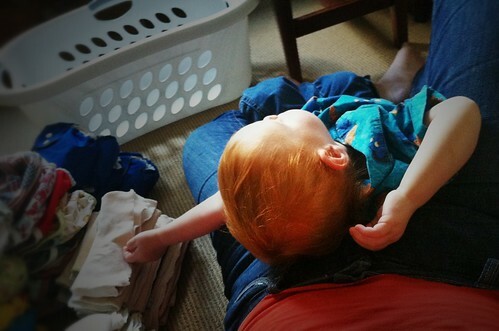 I finished folding the last birdseye flat of my diaper laundry when I looked down to find Marcus sleeping on my lap. Figuring it would be a nice way to round out my (albeit unintentional) sleeping kids theme this week, I decided to snap this shot on my iPhone.